Based on a small amount of research, I can add that it appears Rev. 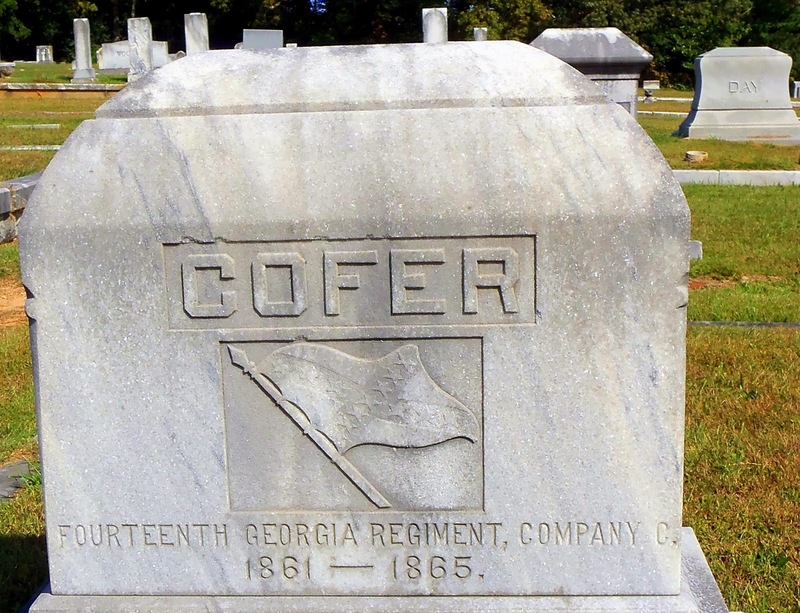 Cofer began preaching about a decade after the Civil War. And according to his Confederate service file available for viewing at Fold3, the latter part of the war was not altogether kind to Merritt. The May-June 1864 company muster roll states he was disabled from wounds and detailed by order of Gen. Lee in Georgia. The Sept-Oct 1864 roll lists Merritt as present, but sick. And the Jan-Feb 1865 roll states he was assigned to conscript duty in Georgia by reason of Surgeon's certificate. This was probably written by his daughter Janie: 5 May 1908: "Miss Jeannie Cofer has returned from Boston where she has ben attending the Emerson School of Oratory." 24 May 1909 her students in "expression" at Swainsboro High gave a recital. 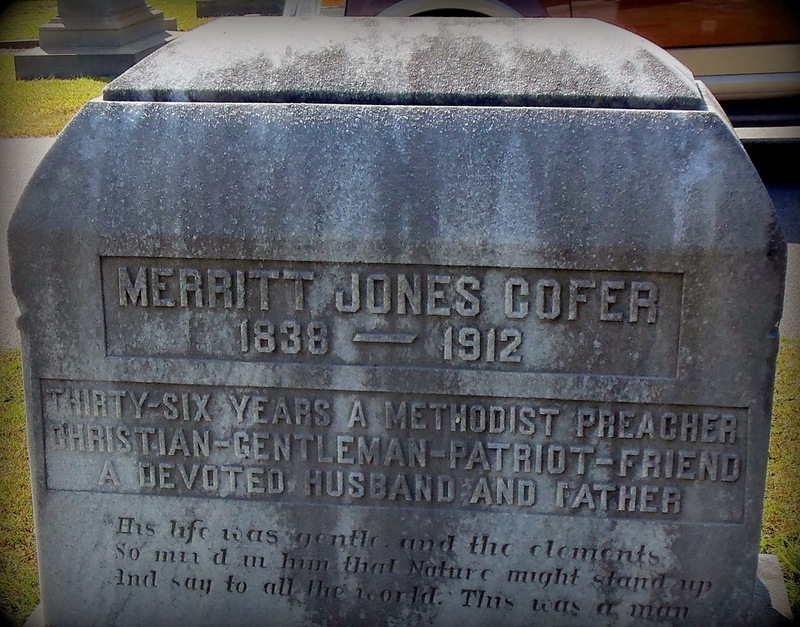 3 Oct 1909 Miss Janie Brown Cofer, dramatic reader and teacher of expression and oratory, will give a recital at the First Methodist church on the evening of Octobert 7 at 6 o'clock. She will be assisted by Miss Eda Bartholomew."